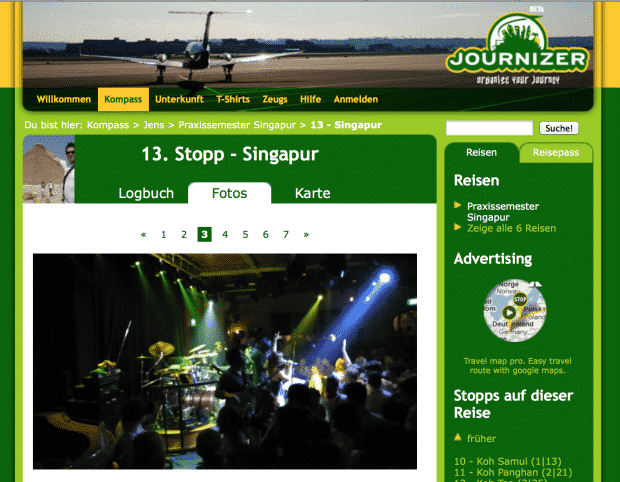 In 2006 I startet a travel website called journizer.com with some friends. The goal was to build the ultimative website for individual travelers. The side has some successes but never get the momentum to grow this thing to a successful startup. Our biggest problem was the vision to build the ultimative site for everything about travel (Blogging, picture sharing, social network, hostel search,…) instead of doing one thing really well. If you want to start any kind of startup make sure you have the one thing in mind you wan’t to really solve for your customers. Don’t try to make everything for everybody. Sad to hear that. I was just about to use your site for my current journey again. Did you already clear the servers? I would still like to get the data from my last journey. send me a mail to jens at journizer.com and i will see what I can do.